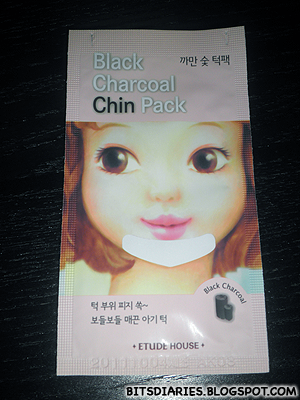 Description: Formulated with black charcoal additives to remove oil and pore deep sebum. 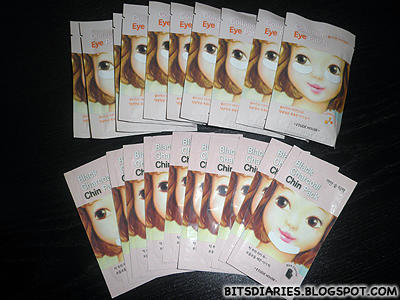 Patch tightens pores and contains Aloe Vera to improve chin complexion. Directions: Wet chin with water. Remove clear film from pack and fasten adhesive side to chin for 10-15minutes. Remove strip when dry. - DOES NOTHING -_- Didn't see anything on the strip. Not even a single nasty was pulled out! I wouldn't recommend this product to anyone but if anyone out there wanna try it, I would advise you to get 1-2 pieces to try first.